San Antonio is a unique American Cities preserving a culture that is centuries old, celebrating the holidays in a traditional style with little influence from the rest of the world. This is a city that was built before Texas was Texas and we have packaged it with Dinners and Events that are uniquely theirs. Day 1 – This holiday season, the Riverwalk shines brighter than ever when the sun goes down as thousands of colorful holiday lights are displayed along the banks and in the tall Cypress trees. Arrive in San Antonio, TX. Check into the Drury Inn & Suites Riverwalk for a four night stay. Enjoy dinner on own this evening and soak in the Christmas spirit along the Riverwalk. 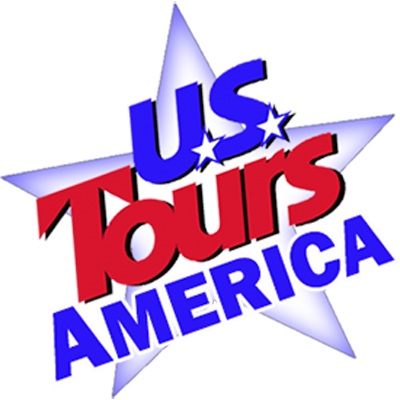 Day 2 – This morning you will meet your local guide and begin touring San Antonio. First stop is the Historic Alamo the sight of the famous losing battle that helped secure Texas’ independence from Mexico. While here you will also see the IMAX movie “The Price of Freedom”. The heroism of the 189 Texans and settlers who defended the besieged Alamo fort for 13 days against the Mexican army of General Santa Anna is recreated in ALAMO: THE PRICE OF FREEDOM. Lunch is on your own at Market Square, the largest Mexican Market in the U.S. with plenty of time for some holiday shopping. Afternoon sightseeing continues its focus on Spanish Missions. The four southernmost Spanish colonial missions—Concepción, San José, San Juan and Espada—are included in the San Antonio Missions National Historical Park, which officially opened in 1983.Along with the Alamo they are a the first UNESCO World Heritage Site in Texas. The highlight of the day will be a Dinner Cruise on a colorful barge floating along the San Antonio River Walk. Enjoy Southwestern Texican Cuisine, including Mexican Plates and Down Home Southern Favorites while experiencing a historical narrative tour from your Dining Boat Pilot. The Riverwalk is especially beautiful at this time of the year with Holiday lights and luminaries. It’s an enchanted kind of evening. Then you will have some free time for lunch on own in Austin. You will want to head to South Congress Ave or 2nd Street which are both filled with an array of eclectic shops, restaurants, boutiques, antiques, music venues and galleries. This afternoon you travel into the Texas countryside to visit LBJ National Historic Park. Here you will tour the Ranch in their vehicles, and can stop along the way to view the President’s birthplace, Johnson family cemetery, and the Ranch House known as the Texas White House. Return to San Antonio for dinner at a Mexican restaurant on the Riverwalk, enjoy live music while you dine on authentic Mexican food. Day 4 – This morning is yours to enjoy in La Villita Historic Arts Village, one of San Antonio’s first neighborhoods. The afternoon continues with admission to the Buckhorn Museum & Texas Ranger Hall of Fame. It is actually five museums in one! with Horns, Fins, Feathers, The Hall of Texas History Wax Museum, and special exhibits unlike anything seen in any other museums in the world. The Texas Ranger Museum honors the incredible history of the world’s most famous law enforcement agency. You also have dinner here. In the same Saloon where Teddy Roosevelt recruited Rough Riders and Pancho Villa is rumored to have planned the Mexican Revolution. Following dinner there will be a singing Cowboy performing songs of both the season and the old west. It’s a fun night exclusively scheduled for your group.